Unfortunately, our Tsukasa has left the group, so we're looking for a new one! Hello and welcome to the casting call for Checkmate! We may consider branching out into English covers as well if all the members are agreeable! 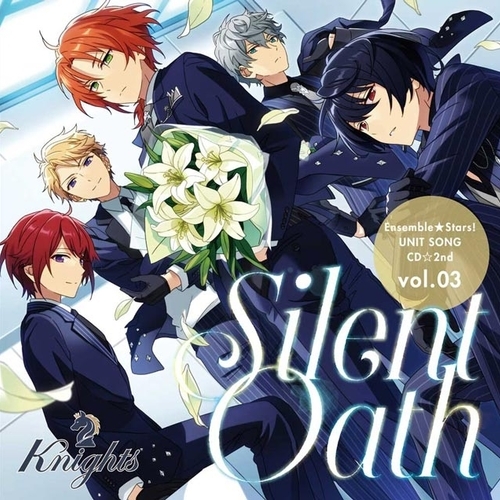 We plan to cover the songs from Knights, although we might branch out into covering songs from other units too! While feminine voices will be preferred (sort of like,, genderbent versions of the characters? ), please feel free to try out if you have a masculine voice and are still interested! We plan to release covers about once a month, but this depends the availability of the members. We also need mixers, animators and sprite editors, so please audition for these as well! ♞ Get along with the others in the group and be nice! ♞ Your mic doesn't need to be the best, but try not to have a lot of background noise in your recordings! ♞ It would be preferable if you had a Discord account so that I can contact you easily! The deadline for this is 5th March! Thank you for reading and I hope you'll consider joining! A friendly and cheerful young man who speaks in a girly tone. He treats the heroine affectionately and acts like a big sister to her. His principle is "everything in moderation." Even though he's versatile and try out all sorts of things, he's not serious about any of them. Arashi's voice is mid-ranged and soft. It's very carefree and breezy (like a feather? ), and his tone is light and pretty. Feminine voices are preferred, but do feel free to apply if you have a masculine voice! Sing these lines from Silent Oath! [ OPTIONAL ] Sing any other song in Japanese that shows off your voice! [ OPTIONAL ] Introduce yourself! Foul-mouthed and not honest with himself, Izumi has a big attitude, is full of confidence, and assumes a detached attitude towards the world at large. He hurls spiteful remarks towards anyone he meets, like a violent-tempered cat. Izumi's voice is deep, strong and full of emotion. It's quite low (the lowest of the group) and very pronounced. Feminine voices are preferred, but do feel free to try out if you have a masculine voice! Ritsu always sounds sleepy and languid. Nocturnal and loves sleeping, he can be found napping anywhere. He had to repeat a year due to too much tardiness and dozing off in class, but he doesn't care. Ritsu's voice is very calm, mid-ranged and soothing. He has a very soft, pleasant quality to his voice. Serious and composed, Tsukasa speaks in a manner rather mature for his age. He is a rich young master who may sound polite on the surface, but what he says is actually rude when you stop and think about it (though he doesn't realize it). He honors his family rules and does his best to improve himself, but he also slightly deviates from what's considered normal. Tsukasa's voice is strong, mid-ranged and clear. He has extremely good pronunciation and his tone is a little sharp. Please attach a mix that you have done for at least 3 people! Attach a sample of your mixing here! Please attach an example of your work that is at least 15 seconds long! Link an example of your work! Attach an example of your edit!